NBA 2K18 was released 15 September 2017 by Visual Concepts and you can only but guess the dismay when this basketball game cannot be played online due to 2K Sports servers going down. When there is a problem with online gaming majority will search social platforms and search engines for NBA 2K18 servers down to look for answers as to why they cannot play their beloved game. 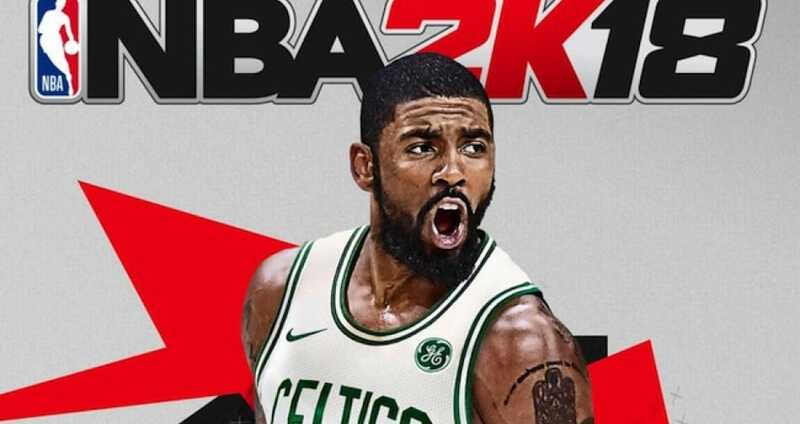 Main problems that can occur with the game include NBA 2K login issues, problems loading on Xbox, PlayStation or to online services as well as mobile apps not working. If these do happen to you please report to Down Today with your server status or any other fault that you are experiencing. If you own any of these platforms, Nintendo Switch, PlayStation 4, Xbox One, Android, Xbox 360, PlayStation 3, Microsoft Windows and have an issue with NBA 2K18, please do report them to Down Today. If NBA 2K18 is down today, then reports will be found below. How do i reconnect the servers on xbox 360? For the passed two days it’s been telling me that my NBA2k18 sport servers are down, what do I do? Why is the server still down? Does anyone care about Ps3 anymore? I only play nba 2k17 and I’m having withdrawals, please help! Are 2k15 servers closing for good? I don’t understand how a company can stop a service that you spend money on and then can’t access anything. I thought when they shut down nba2k14 servers that it would be something they could never do again. I bought nba2k15 on this thought… if they have done this again, I am forever 100% against this robbery and will never buy anything nba2k related again. If they arent go8ng to support it anymore, then release a patch unlocking the game for offline use. Hello ,Why i can’t play online nba2k15? I was unable to play since New Years at exactly 12 AM, which gives me the thought that 2K shut down the 2K15 servers for good. I can’t play either. I hope there not down for good, but the fact that it happened on new years day makes me think so. I’m waiting to go onto my career for another day or so though. Is it true NBA 2K15 servers shut down for good on last gen consoles December 31, 2016? the servers for ps3 have been down for like 12 hours now. does anyone know what’s going on? I was able to play yesterday but not today are the servers down for good? Unable to connect to 2k sports server. That’s what I see alllllllll the time now. Are the servers down ? Xbox360? When I start a new my career and when I have to save all the data about new player I get a message that I have to delete one of my online mycareer players (1 of 3). And then after a few games everything just freezes everytime when I finish that particular game. I also deleted all Nba files and everything that’s connected to the game. Can anyone please help me..
2K servers are not that solid are they? Most of the time I can only play career, all i want to do is play a quick match online. Since the last NBA 2K15 maintenance update I have been having issues connecting on the PC.. When is the next â€ŽNBA2K15â€¬ maintenance scheduled for? Because I cannot connect to the 2K server I cannot play any matches with my friends. The NBA 2K15 iOS app has been updated to Version 1.0.4, let me know what you think.